We’re all for increased road safety here at Menkind, but let’s be honest, it can all seem a bit dull. 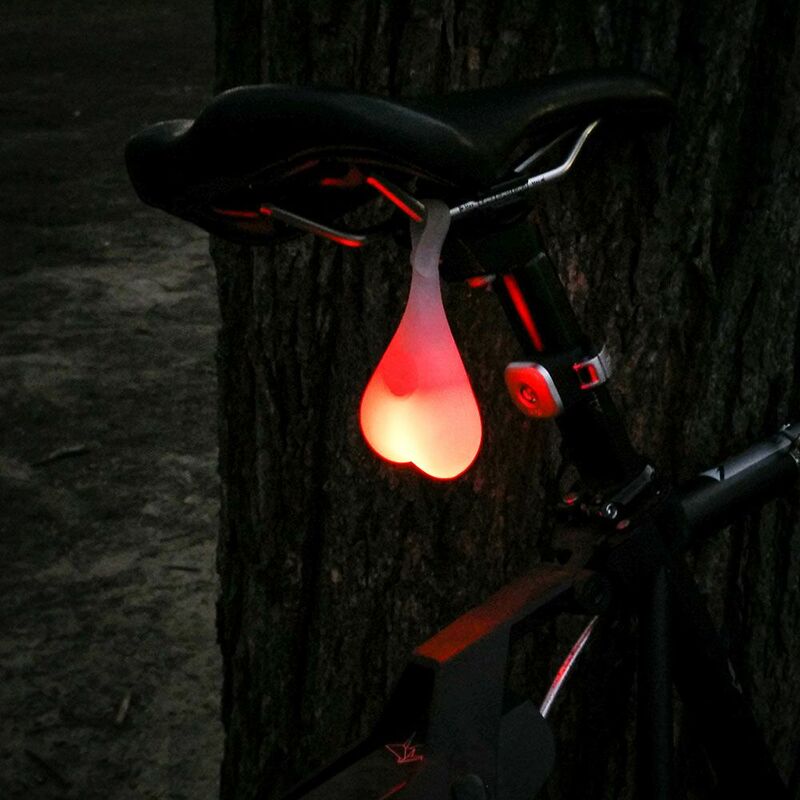 Well these exciting bike lights, designed to swing pendulously from the saddle rails of your bicycle, will banish all thoughts of dullness. These waterproof silicone balls can be turned on or off or through three different modes (solid, phase and flash) with a good, firm squeeze. The powerful red LEDs housed within are extremely bright with incredibly long battery lifes, offering all round visibility. They’re super simple to fit or remove and are guaranteed to get you noticed as they dangle seductively off the back of your saddle. They even come with a pair of zip ties for semi-permanent installation.